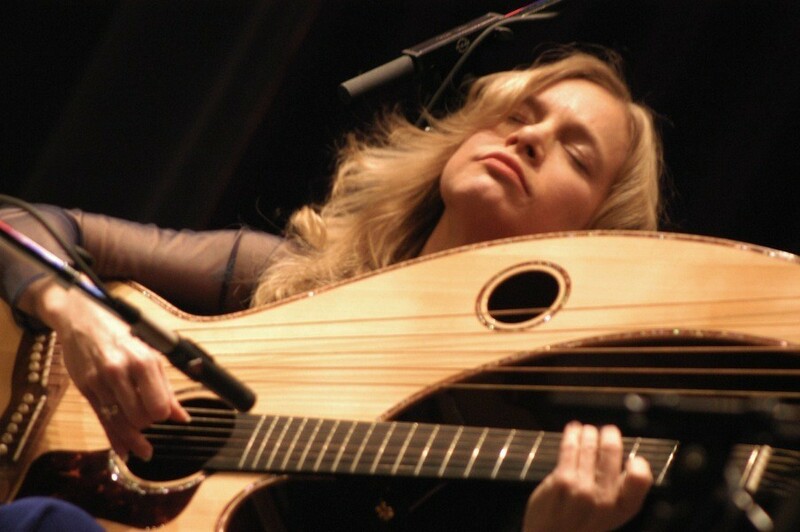 One of the world’s foremost fingerstyle guitarists and harp-guitarists, Muriel Anderson is the first woman to have won the National Fingerstyle Guitar Championship. 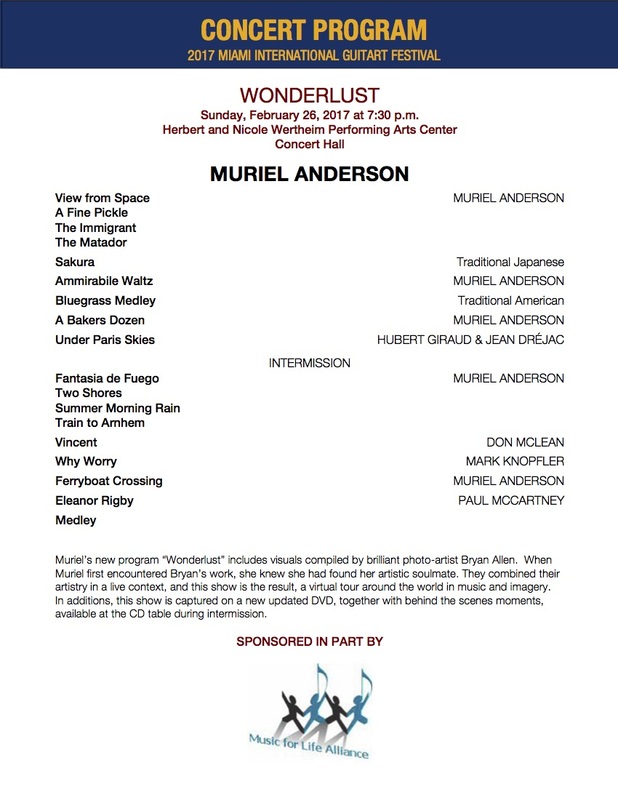 Her new concert program “Wonderlust” is a must-see as well as a must-hear! It includes visuals – moving and still images artfully compiled by brilliant photo-artist Bryan Allen. Sometimes whimsical, sometimes thought-provoking, always engaging. It is a musical journey around the world, bringing together diverse cultures and settings, shining a gentle light on our common humanity. When Muriel first encountered Bryan Allen’s work, she knew she had found her artistic soulmate–she was amazed to find that his photo-art was saying the same thing as her music. They went on to create the 11-award winning Nightlight Daylight CD, and in the process discovered that their artistic affinity extended to the heart. They combined their artistry in a live context, and this show is the result. Bryan’s stunning visuals provide an insightful backdrop to Muriel’s music, accentuating the audience experience as never before. A virtual tour around the world in music and imagery. Muriel has performed/recorded with Chet Atkins, Les Paul, Victor Wooten and the Nashville Chamber Orchestra. Her obvious joy of music, humor and her facility across the genres of folk, classical, jazz, bluegrass and international music is revered by guitarists worldwide. An engaging performer, Muriel’s unique approach to the instrument virtually transforms the guitar into a lyrical choir, then a marching band, then a Japanese koto, then a Bluegrass band, one minute launching into a Beatles’ tune and the next, a Rodrigo concerto. This concert is supported in part by the Music for Life Alliance.